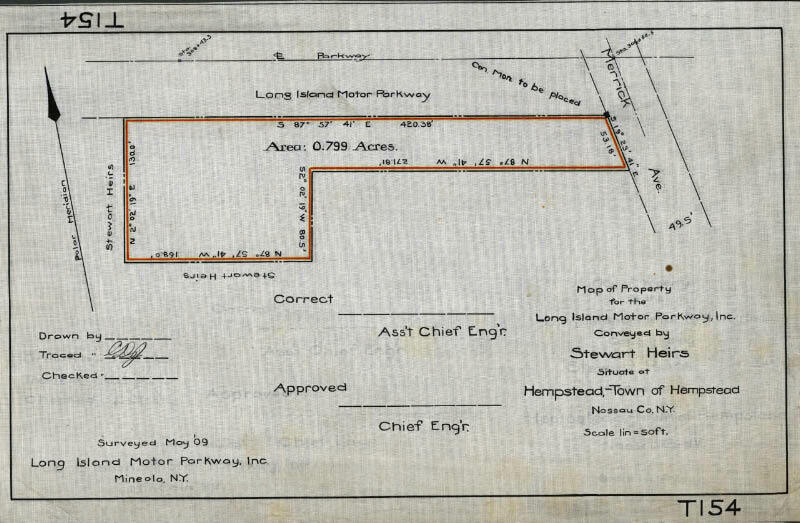 As shown in this 1908 survey, the Meadow Brook Lodge was located west of Merrick Avenue and north of Stewart Avenue in Westbury. 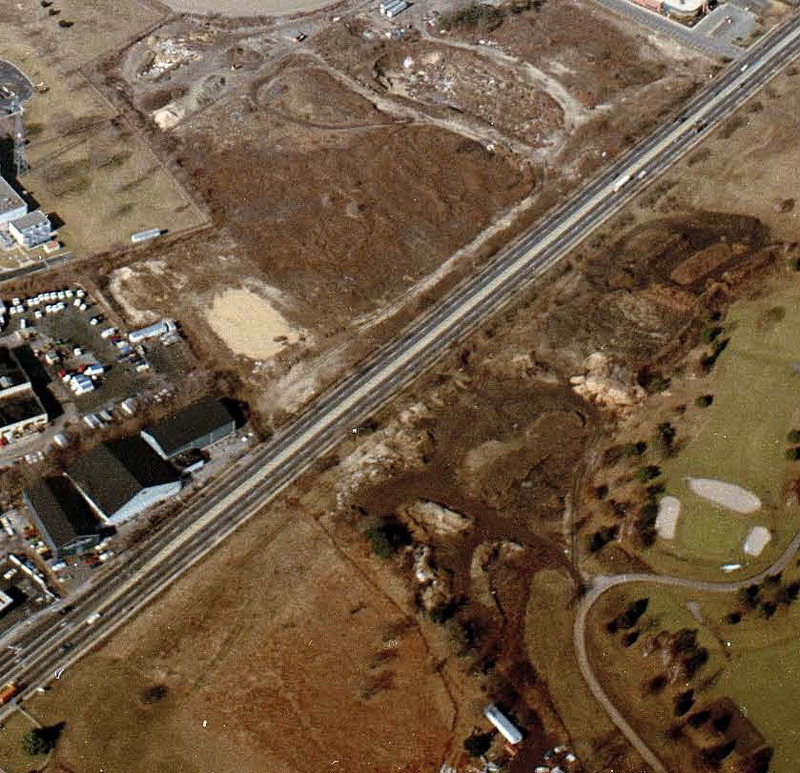 The 0.799 acres were sold to the Motor Parkway by the heirs of A.T. Stewart. 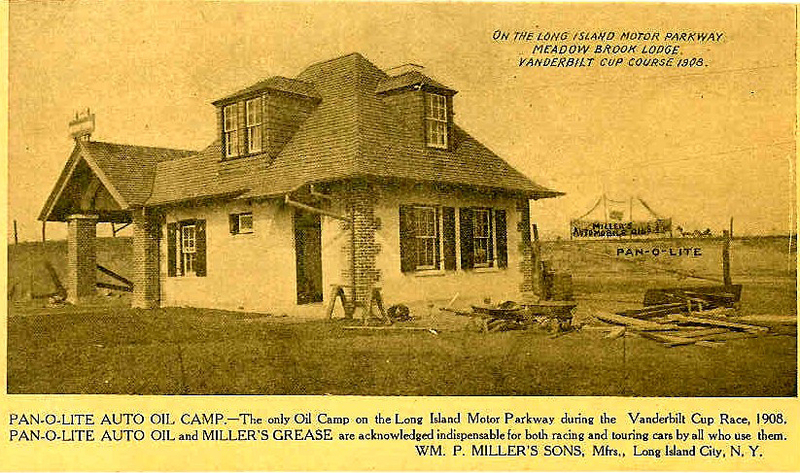 Seen here under construction, the Meadow Brook Lodge was one of the three original toll lodges designed by John Russell Pope and built for the opening of the Long Island Motor Parkway on October 10, 1908. 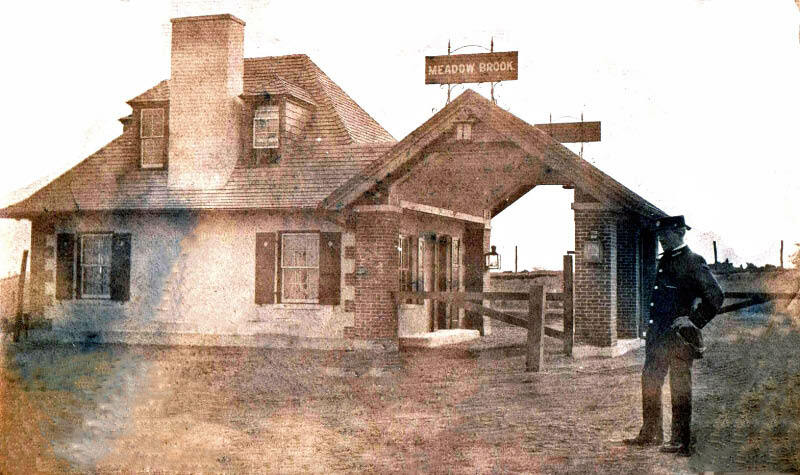 Identical to the Bethpage Lodge and the Massapequa Lodge, the two-story building, constructed primarily of brick, was also the home for the toll collectors and their families. 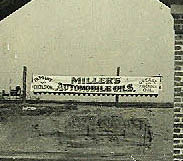 A promotional postcard for Miller's Automobile Oils. The view loking south from the Motor Parkway. Note the uniform for the lodge keeper. 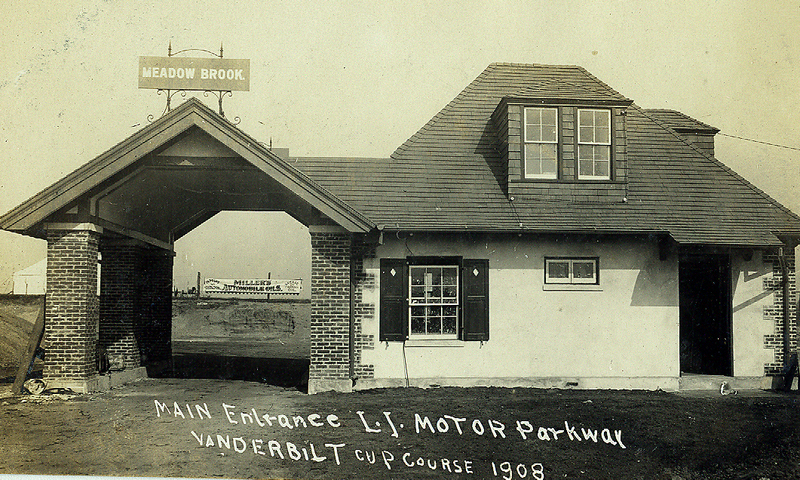 The Motor Parkway in front of the Meadow Brook Lodge was the beginning of the parkway section for the 1908, 1909 and 1909 Vanderbilt Cup Races courses. 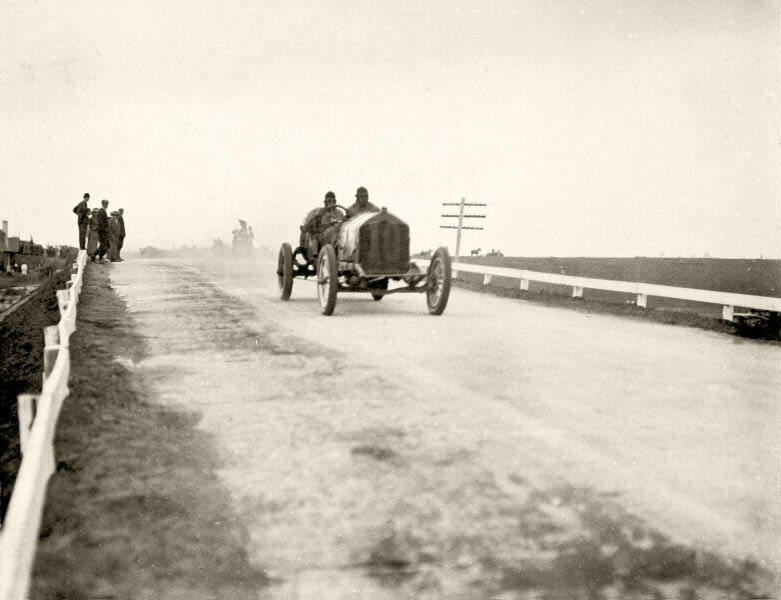 This 1910 photo taken on the Merrick Avenue Bridge shows the #9 Amplex driven by Walter Jones after passing the Meadow Brook Lodge on the left. 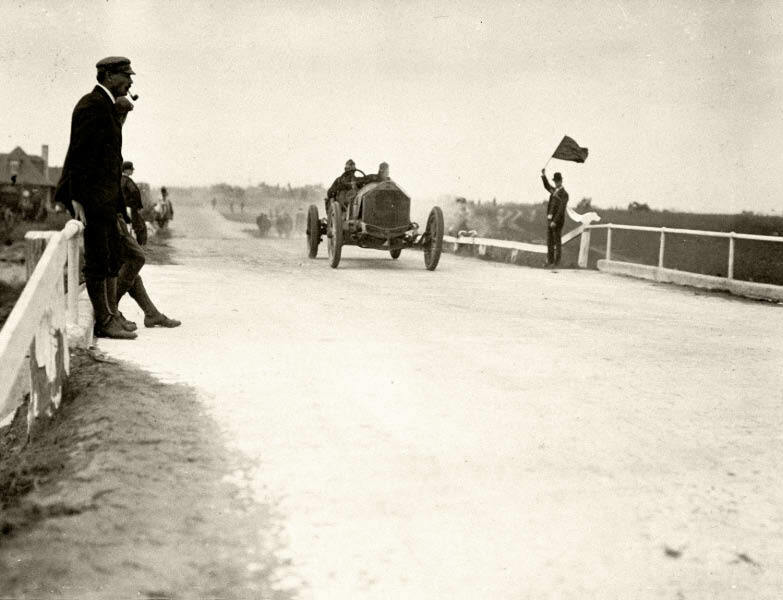 Note the flagman warning spectators of the car on the course. A section of the lodge can be seen on the far left as Johnny Aitkin's #10 National raced by. 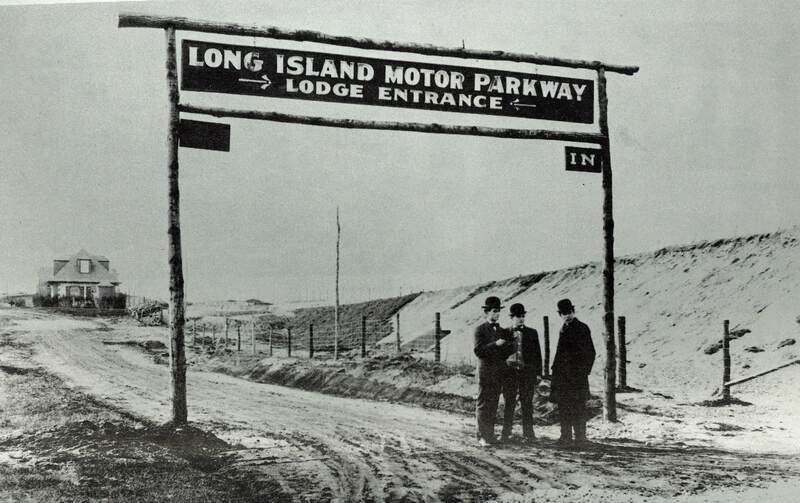 The entrance/exit ramp and sign to the Meadow Brook Lodge were located on the south side of the Long Island Motor Parkway and west of Merrick Avenue in East Meadow. 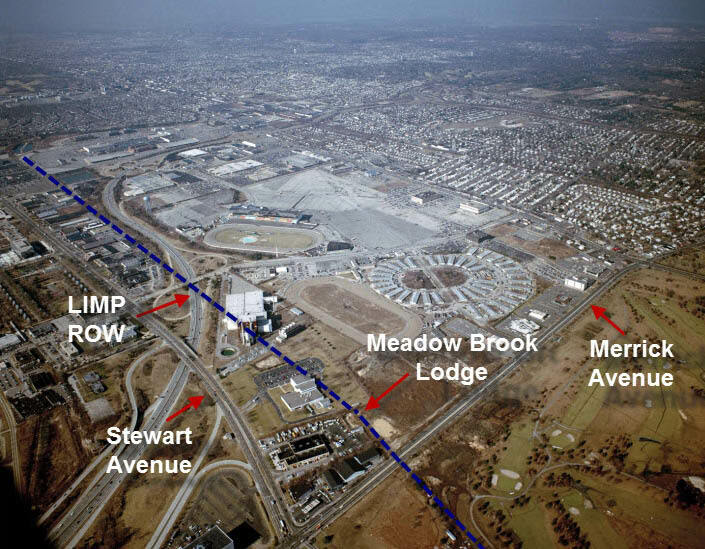 The lodge can be seen in the distance, while the beginning of the parkway bridge over Merrick Avenue is to the right of the three men. Note the key shape entrance to the lodge from Merrick Avenue. 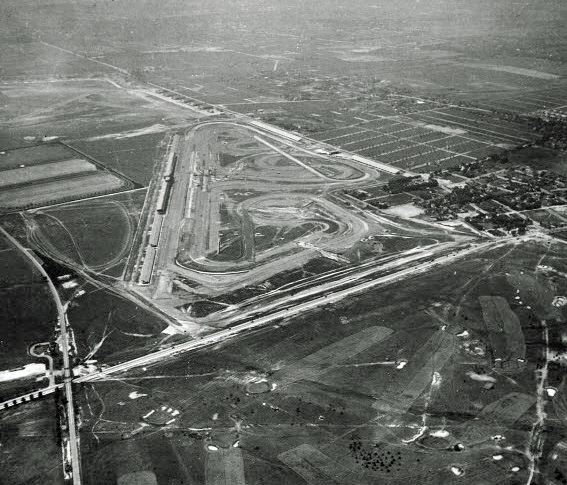 A view of Roosevelt Raceway, location for the 1936 and 1937 Vanderbilt Cup Races. 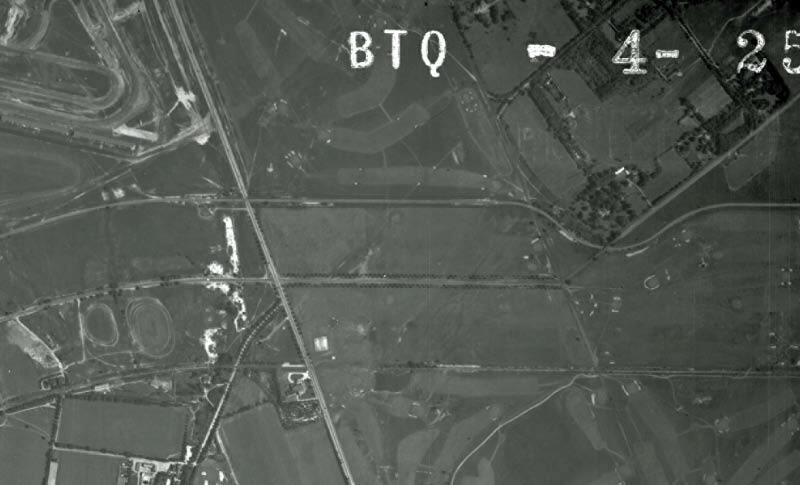 The Motor Parkway is south of the race track, running across the middle of the aerial. 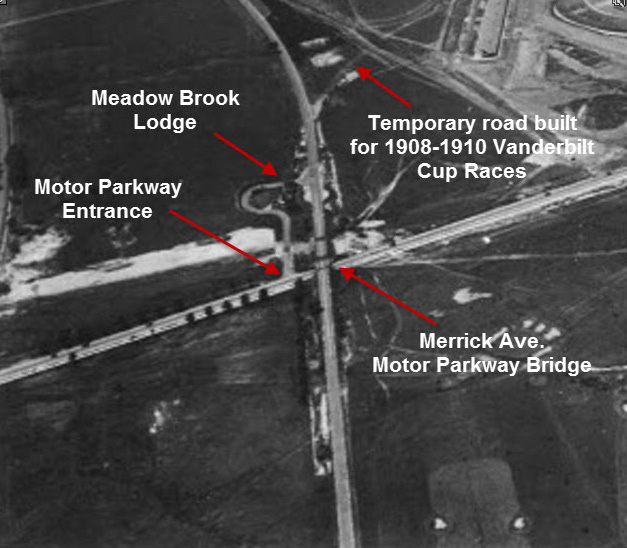 A close-up shows the Meadow Brook Lodge and the Merrick Avenue Motor Parkway Bridge. A view looking north west. 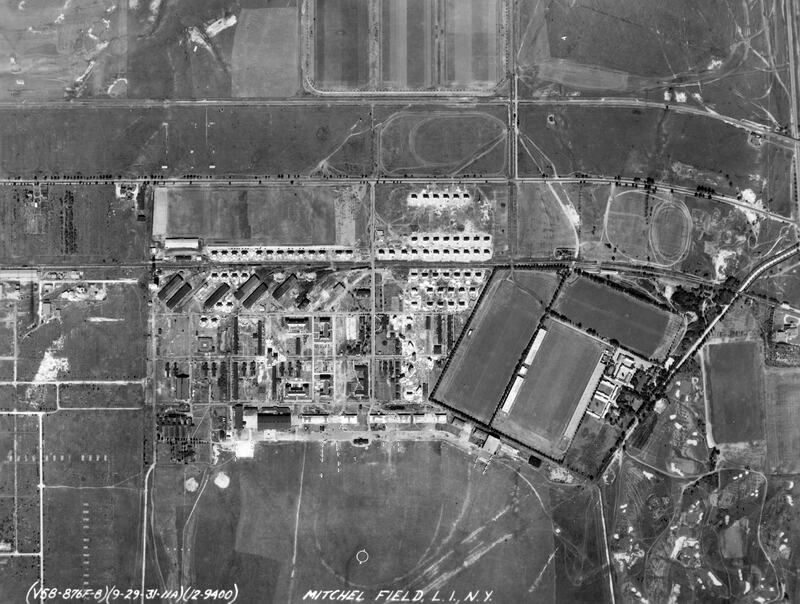 The Motor Parkway can be seen in the middle of this 1938 aerial running almost parallel to Stewart Avenue. Merrick Avenue is the major road on the diagonal. 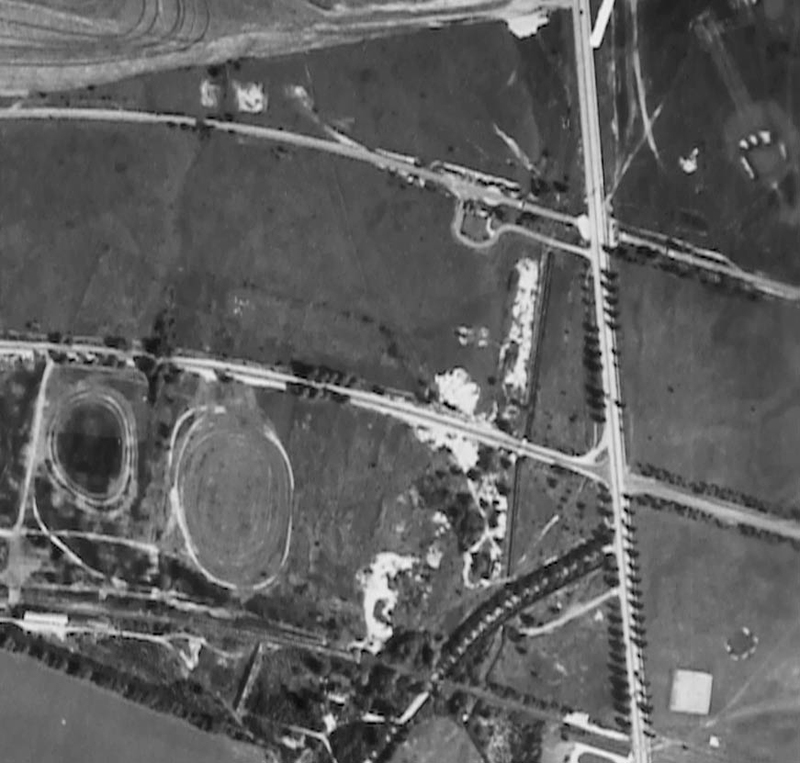 Note: A section of the Roosevelt Raceway in the upper left corner- site of the 1936 and 1937 Vanderbilt Cup Races. The Meadow Brook Lodge can be seen at the end of the "keyhole". 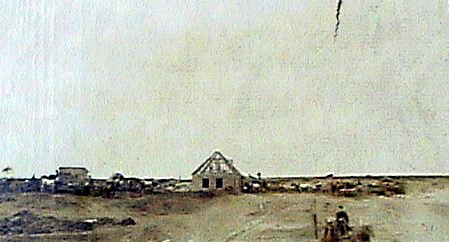 By 1955, the lodge had been taken down. 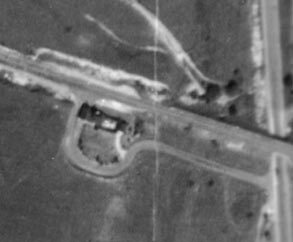 Note the "keyhole" path was still visible. 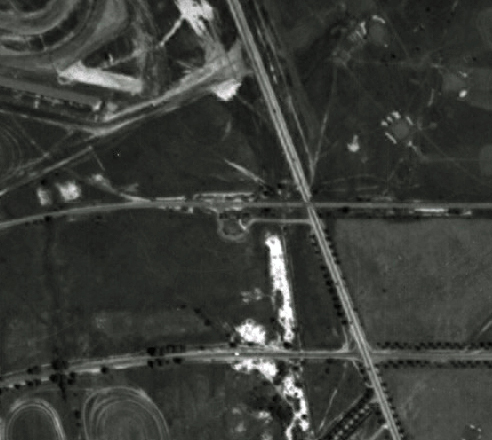 The remnants of the"keyhole" entrance and the Motor Parkway right-of-way were still visible in the 1960s. 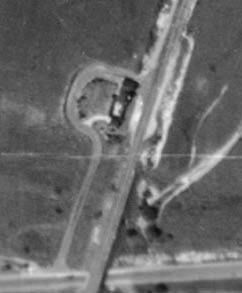 This is the same ramp as seen in 1908. 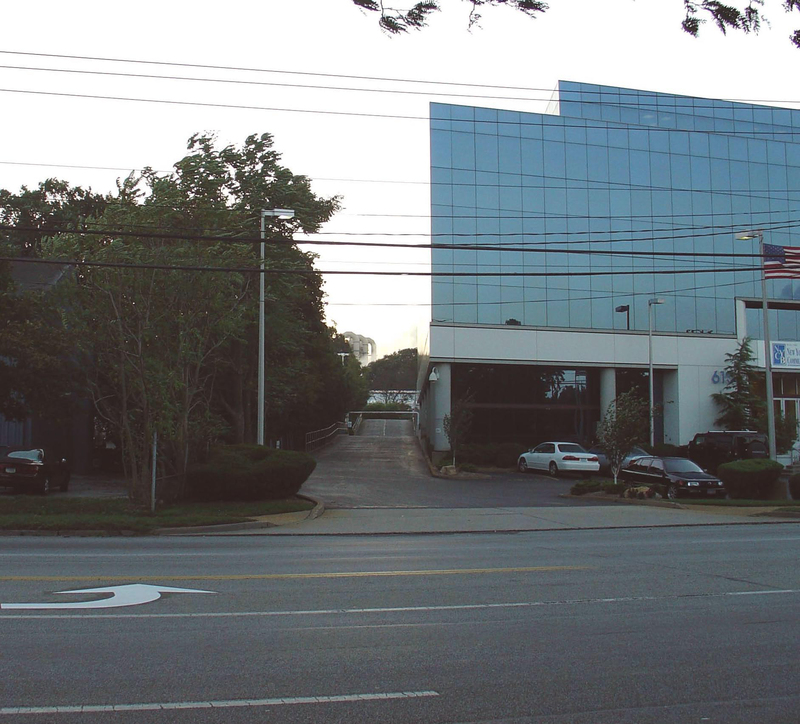 Instead of approaching a toll lodge, it leads to the back parking lot of the New York Community Bank building...the site of the Meadow Brook Lodge. 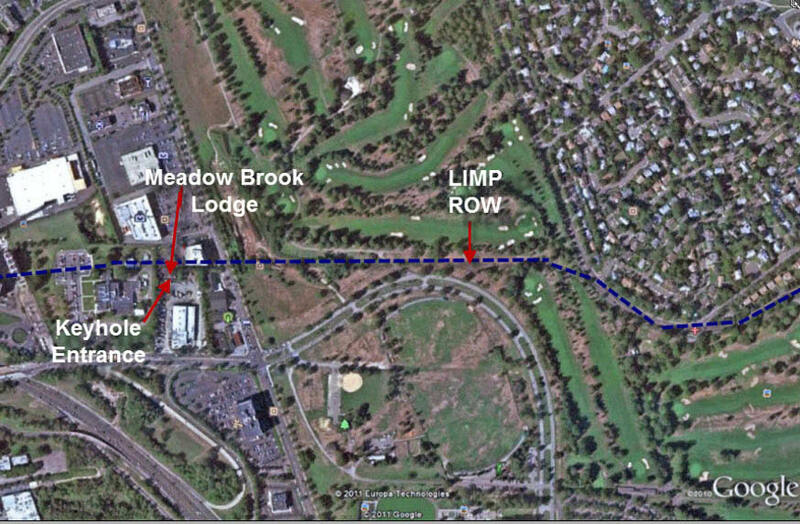 The site of the Meadow Brook Lodge, the "keyhole" entrance, and the Motor Parkway right-of-way through Eisenhower Park in East Meadow. 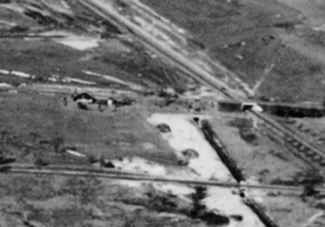 Note the layout of the golf course holes north of the Motor Parkway right-of-way have not changed significantly from 1938. Howard, great pic as usual, trying to catch up on thing,have’nt been on lately. Lots of car shows now,keeping me busy. Are you going to the Mustang Round Up with your car on Sunday? Can’t wait to go to Klingberg Vintage next week.